In the first two parts of this series, we discussed the changes to employment that advanced technology and automation will soon bring, and how a Resource Based Economy is the only solution that we know of to that dilemma. We know what the problem is, and we even have the solution in hand, however, one sixty-four-million dollar question remains: how do we get there from here? The transition to a completely new socioeconomic system will be anything but easy. It will be the grandest challenge that Humanity has ever undertaken. however, it also holds the most promise for creating a sustainable future that is compatible with an advanced technological civilization. The largest challenge facing the adoption of an Resource Based Economy is education. No one has ever tried to develop or implement this type of system before, so, people have no point of reference. They will grab bits and pieces of ideas and try to fit that into models of systems they are familiar with, some that were huge failures, and make false assumptions. The most common misperception centers on the idea of ownership. Around 10,000 years ago, people went through a transition from hunter-gatherers to farming the land and living in one place for longer periods. For the first time in history people were staying in one place long enough to obtain and accumulate objects of value. This is probably when we first started seeing the concept of ownership of objects and lands take hold. Therefore, for the last 10,000 years or so, we have conditioned our society to measure our worth by the amount of stuff we can accumulate and own. Do we have a natural disposition to want to own things, to accumulate wealth? Are we destined to always be greedy and hoard material wealth? I think not. I think it is our nature to live in better harmony with our neighbors and the Earth. The last 10,000 years has been an aberration in our natural behavior. We only have a few examples of other societies to get a glimpse of how we probably spent the majority of our time evolving. The Native Americans of the mid-west in America gave up farming to return to a life of hunting & gathering and developed a social structure based on sharing. They could not carry very much when it was time to pick up and move, so they put little value on accumulating things of value. People could no more own the land than they could own the air we breathe. What they did have, belonged to the entire tribe. Around the turn of the 20th century, many South Pacific island tribes had plenty of natural resources; food and water. Even though they stayed in one place, because there was such abundance there was no need to take more than you needed. They developed a very egalitarian culture were people openly shared everything. When our environment permits it, we can be rather nice to each other. The fact is that humans are perfectly capable of living harmoniously in a society where ownership of things is not important. We think that we must accumulate things of value because that is what we have been taught our entire lives. It is part of our culture; the same culture that is willing to kill men, women and children just to get their oil. The need to have something that someone else has, to take it from them, is at the root of most of the crime and violence around the globe for the past 10,000 years. By eliminating money, and the value it associates with things we use, we can finally return to a society that values people and relationships over material wealth. By creating the technology to harvest energy and provide renewable resources in abundant supply, we will finally be free of the violence that emerges in a society that values possessions over people. However, we still have a challenge. The challenge is convincing seven billion people to stop valuing material possessions, give up the need to own things, and put their trust in technology to provide for their every need. Two things need to happen before the concept of a Resource Based economy will gain acceptance with the majority of the population. We must educate the people about what a Resource Based Economy is and how it works. In addition, we must prove to the people by example that these concepts will work in practice, not just theory. The change to a Resource Based Economy is too radical to get the support of the majority of the worlds population without a major catastrophe driving them to accept anything that offers some hope of security. Unfortunately, there are powerful interests in the world that would use a global disaster to seize control. The only way to avoid a negative outcome is to educate the people about a better option, so that when the day comes, they can vote intelligently. What better way to educate people than by example. Millions of people have heard of The Venus Project (TVP) by now, and another popular initiative known as The Zeitgeist Movement (TZM). The Zeitgeist Movement began as the activist arm of The Venus Project, however their tactics for spreading the message of an RBE were not in keeping with the core values of The Venus Project, and therefore they split and went their separate ways. However, they still pursue the same goal, which is a Resource Based Economy. As of this writing, The Venus Project is trying to raise the capital to create a full length movie that will show what life in a society that no longer uses money, has no need for war, and has access to abundant resources would be like. People will continue having a hard time visualizing that society without a frame of reference. The movie is a key educational tool that will give people that reference from which they can base their understanding. 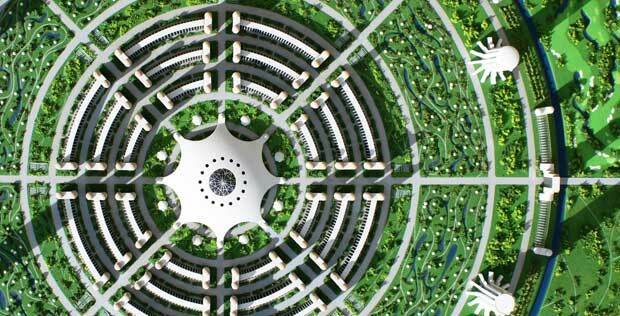 In addition to awareness, proceeds from the movie will be used to help fund the first experimental city. Once awareness is improved through education, additional funding can be raised to construct the first experimental prototype city. The first city will be a scaled down version of a full city concept. This prototype city will need to rely on funding to buy land, and pay for materials and equipment because it will still exist somewhere within our current monetary system. It will be constrained to the laws of the land, including taxation wherever it is built. It will probably also require manual labor since the automated construction and production techniques still need to be developed. Establishing a reliable and renewable energy source will be one of the first priorities. If the people have been well educated about the vision for an RBE, then there will be enough skilled people available to volunteer their time to see that vision brought to life. Initially there will be a high demand for contractors, electricians, plumbers, painters; all the construction trades. We will also need people for first aid and emergency medical care, as well as agronomists to set up the first hydroponic farms. They will all live in the city as they construct it. Teams of architects, engineers, and IT professionals from all over the world are already volunteering their time to design this first new city and the computer systems that will run it. Hundreds more professionals have already signed up to help when the time comes. 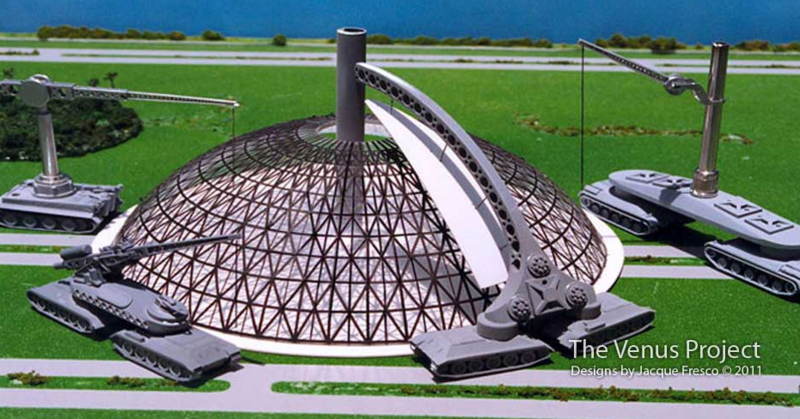 Once the first prototype city is constructed, the first inhabitants in addition to the construction people will need to be researchers, engineers, technicians, scientists, and others with the required skills to develop the technology that will enable a Resource Based Economy to thrive by replacing manual labor with automation. However, researchers and scientists are expensive in today’s money based world. How might the first city function financially in a word that uses money? The method of that operation has yet to be decided by the TVP team. This suggestion is but one approach that may be used and is presented here to illustrate that doing this is not a Utopian pipe dream, it can happen. A Cooperative, or Coop (pronounced ‘koe-ahp’) for short, is a business organization where the members share ownership in the business. There is no corporate stock, and so no stockholders telling the business what to do. Members may be the customers of the coop business as with Credit Unions, Farming coops, and some insurance companies. The coops members can also be the employees of the coop as is becoming popular in Europe. In a coop where the members are the employees, the employees each own an equal share in that business. There is no single owner or boss controlling all of the others. It is the ultimate flat organizational structure. A coop may pay its members who do work a wage, but it is not required. One way to structure the coop, would be to offer members the right to live in the city. They would have access to all of the cities resources; food, water, shelter and anything else the city is able to provide. People would not be paid a wage while living in the city. 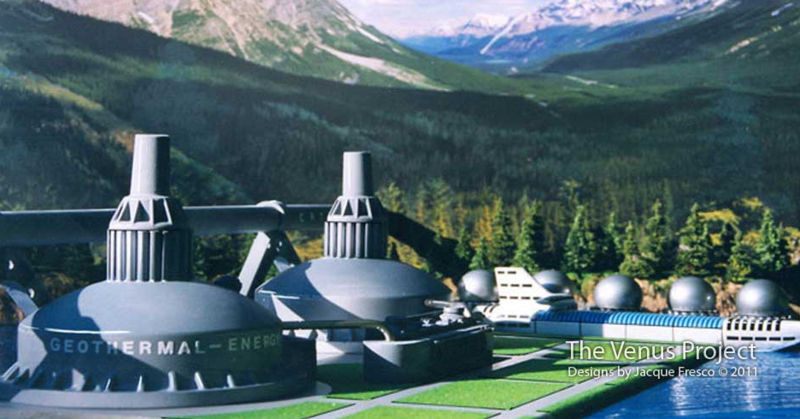 The research and technology produced, along with any excess power and products manufactured in the city can be sold to those outside the city. A priority will also be placed on establishing the ability to fabricate our own tools, equipment and supplies as early as possible so as to not be dependent on the outside world. However, there will inevitably be items beyond the early cities ability to manufacture; computer chips for example. The value received from trade would enable the early city to purchase additional material, supplies, tools and equipment that it could not manufacture, as well as things like medical care for situations beyond the cities early medical staffs ability to deal with. Another option is to open the city up to college students who want to learn sustainable living. We may be able to attract a few college professors and offer a number of colleges a fully accredited course for their students spending a semester in the city doing research, learning and helping build the future. An additional possibility is offering the city as an experimental testing ground for technology companies developing new automation techniques. Think Google’s new driverless car. These companies may not be ready to embrace a new way of life without money, but they may be interested in plugging their technology into an experimental infrastructure full of scientists and technicians who can provide valuable feedback. The coop will be a legal entity, responsible to the country where it is built for all taxes and laws. Since members volunteer their efforts, they are not paid, and therefore not subject to taxation. If successful, enough capital can be raised to finance a larger city as part of the same coop business. In the second city, the automation technology developed in the first city is used to help construct it as well as the cities control and distribution systems. It may be advantageous to have different cities specialize in different kinds of goods. That way one city does not have to establish the capability early on to be able to create everything it may need. A computerized distribution network will keep track of everything that is available in each city and arrange for transport between cities when needed. That computerized system is actually undergoing design as you read this. I know this because that is one of the roles I fill as a Software Architect volunteering on that project. We will also connect our cities with high speed rail service for both passenger and resource/goods distribution. Another early feature that will appear in the first city is a municipal transportation system that goes beyond your typical mass transit system. The details of that system are still being worked out, but it will be both environmentally friendly, and convenient. Establish manufacturing and fabrication labs. 3D printers for various materials will help accelerate this capacity. To the extent possible, the early city will want to only buy raw materials, and then manufacture finished goods on site. This will be the quickest road to self sufficiency. Establish self sufficiency with our food supply; hydroponic gardens, aquaponics, pigs, goats, sheep and chickens. Fish not only supply valuable and healthy protein, but their waste is a valuable fertilizer for the hydroponics gardens. Live stock should be restricted to those able to consume left over waste from the gardens. Establish a reliable source of power with 24×7 availability; This likely will be solar or wind with a storage device to supply energy at night. Establish a transit system. For the first year the city may be small enough to get anywhere reasonable by bike, but eventually a better method will be required, especially in bad weather. The details are yet to be worked out, but may simply be a small fleet of electric vehicles. Develop a local resource management system. A school, not just for the children, but adults as well. This will double as a place where people can visit the city and learn what we are about. Perhaps we call it RBE University. Manufacture of our own solar cells and power conversion equipment. This will be used to expand our power availability as the city grows until geothermal comes online, eventually generating a surplus that may be sold to the outside. Manufacture of electronic components of moderate complexity. Sophisticated computer chips will be a late stage endeavor. Expanded manufacturing capacity, with fully equipped research labs for the development of new automated construction systems and manufacturing techniques. Build an electric arc furnace mini steel mill, and casting to manufacture recycled steel from scrap. Recycled scrap steel is not very expensive and readily available. The raw steel will be critical to expanding our manufacturing capacity. Develop a regional resource management system. Establish a smelter and foundry for other metals and minerals. Establish chemical processing capability for needed chemicals. Geothermal power plant. Geothermal is the most desirable long term solution, however, the construction effort is high (approximately $3400/kilowatt in a monetary economy). Comprehensive and fully automated manufacturing and fabrication of all needed materials,components, and equipment needed by a highly technical society. Produce our own high quality computers and equipment including the components such as chips. 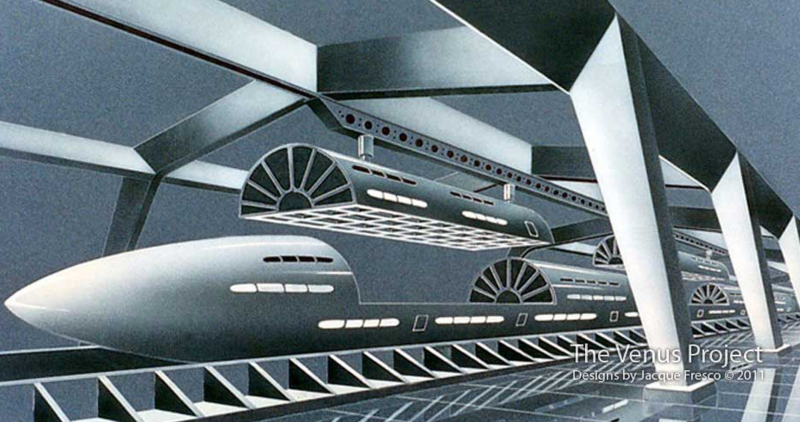 Manufacture of high speed transport system, and fully automated municipal ‘doorstep-to-doorstep’ transit systems. 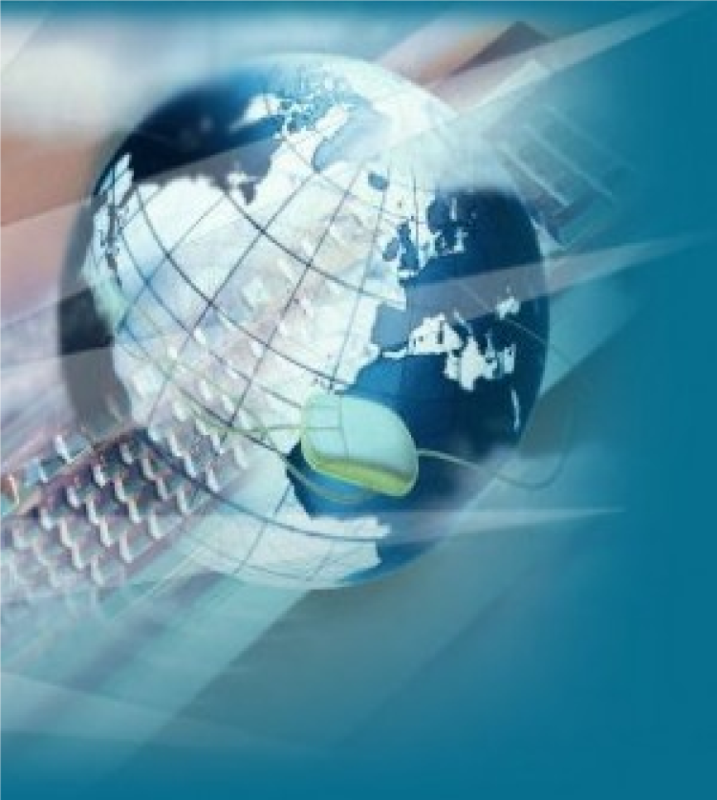 Expand the resource management system to a global scale. Completely 100% self sufficient and independence from the outside ‘monetary’ world. In each new generation of city that we build, the technology and automation used in city construction, infrastructure, services and industrial areas will be improved. At some point, we will branch out and start building cities in other countries. Eventually our cities will be so successful that we will have a hard time building them fast enough to meet the demand for people who want to move in to them. Before long, there will be so many people living in our cities, and so many others wanting in, that the world’s governments will have no choice but to make the commitment and convert their economies. We have a way forward; one that does not require a revolution, or depended on the total collapse of society. We have simply create an alternative that people will be able to look to as a successful and functioning way to live. As the number of cities grows, they will eventually reach a point of complete self-sufficiency where there is no longer any dependency on the outside world for any resources. At that time, we should be able to transition away from the temporary coop model that allowed us to trade for resources from the moneyed world. We will then be 100% running as a true Resource Based Economy. There will still be those on the outside though. The remaining world’s governments will have no choice but to listen to the millions of people still on the outside and wanting to join our superior way of doing things. A global referendum of the remaining outside citizens will drive the world’s governments to plan their own conversion and join us. Only one thing is certain about the future. If we survive as an advanced technological civilization, eventually machines will be doing all the work. There is no logical way to avoid that conclusion. One can argue about the timing, but not the result. When we humans are no longer needed for labor, when the machines are doing all of the work, we will either evolve into a new society where the machines serve our needs, or we let the machines have this planet and wave farewell as we become just another chapter in the long history of Earth. The one thing that has gotten us this far, is the fact that we humans are experts at adaptation. We adapt and survive. I think we have it within us to adapt to the coming changes, to evolve to a new way of life. We will live among the machines and they will be our friends. In case you have not noticed, our society is coming apart at the seams, and the global economy is preparing for a mega meltdown. As of this writing, Europe is on the verge of going bankrupt, which may result in the dissolution of the Eurozone and the rest of the world is not far behind. How this will all come to pass is the subject of other articles that I have posted, so I will not retrace those steps here. What is a society to do when it collapses? The only thing that is real in the world economy, are resources. Resources are the things we use, and consume. They are required for our survival. Resources allow us to produce all the trappings of a modern society. Money is not a resource; money is an artificial tool that simply enables the control of resources by an entity. Therefore, money is not real; it is simply the illusion of wealth and power. Money is the source of everything that is wrong with our modern society; greed, envy and corruption. Money is the shackle by which the people of the Earth are forced into servitude. How you structure a monetary based economy, whether as Capitalism or Communism is irrelevant; they all have the same flaws focused around greed and a desire to accumulate power over others. Which political system you use with a monetary based economy, whether a Republic, Fascism or Socialism is irrelevant; they all have the same flaws centered on corruption of the political process and politicians. It is therefore vital for the survival of the human race that society evolve, that it transcends the need for money, politics, and an artificial monetary based economy. Fortunately, there is a way, a plan in the making for several decades; it is The Venus Project. 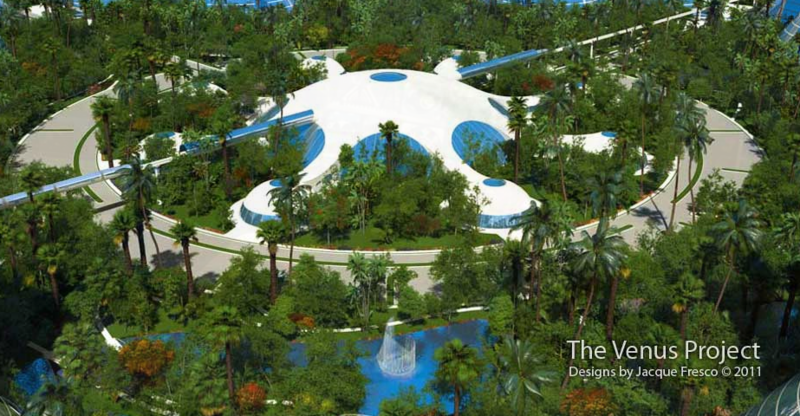 The Venus Project represents Jacque Fresco’s vision, and a unique solution to the socioeconomic and environmental problems that face our society and the planet we live on. What he proposes will seem radical to many people. Some will jump to negative conclusions before understanding the full concept, while others will want to jump at the chance to live in the first new cities. Whichever camp you are in, I beg of you to learn as much as you can about this proposal for a new type of socioeconomic system. It just may be the single most important decision in your life. Nothing less than the future of humanity is riding on this. There will be no monetary currency. The use of currency is replaced by a resource-based economy. This may be phased in over time, or occur abruptly. The Earth’s resources are for the shared benefit of all humankind. No individual or group shall be able to exploit resources for their sole benefit or to use resources in such a way that they are able to coerce or control others. Technology is a resource, and is to be a shared benefit of all humankind. The use of patents or other mechanisms that give exclusive access to a technology are not permitted. All people share the discoveries, inventions and designs equally and openly. Elitism is eliminated; whether through wealth or technology. It will not be possible to own or accumulate assets or property of any kind, therefore no accumulation of power may take place. This also may be phased in over time to lessen the shock. Before you get excited, read the entire article; it is not scary at all once you understand that personal ownership of things is not important when you share ownership in all the worlds’ resources. When discussing resources we are referring to everything of value; natural, manmade and human. We include everything: minerals, water, food, tools and equipment, land, buildings, human labor, electronic equipment, computers, robots, software, as well as all the gadgets we create in a modern society. How will we be paid for work? How will we obtain things? There will be no money; no paper currency, metal coins or electronic funds. There will be no banks, no stock market and no corporations. You will not need any money because you will have access to everything you need at no cost; food, clothing, a home, education, transportation. You will have all the gizmos and widgets that make up a modern life; T.V.’s, phones, computers, camera’s etc. All resources and the things made from them are the shared inheritance of all the Earths people. You need to understand that in a monetary system, one where you have to buy everything, you may only use resources to the extent that you can afford them. Resources are artificially restricted and made scarce through the application of money used for trade. In an economy that does not require money to trade for resources, all resources become abundant and are available to everyone. What do we have to give up? You are probably thinking. “Does that mean that most people in developed countries like the United States have to give up some of what they have so that all people are made equally poor?” If done intelligently and with the use of technology, no one need suffer a loss of comfort, or lifestyle. You may choose to live a different lifestyle, but that is your choice because you will have many more options from which to choose. The reality will be that the lifestyle of the average person in such a system will rapidly exceed the best lifestyle of today’s wealthy elite. Imagine for a moment a fictional world, where people own all the water on the planet. If you want to drink water you must buy it from someone (were almost there today). It would not sound so crazy to you if someone in that world suggested that water should be shared by everyone, that no person should have to pay another for the right to drink from a stream. That is because you have the advantage of a perspective where you have seen a world where things like water and air are free, and you have enjoyed its bounty. Is it such a stretch of the imagination then, to make all the Earth’s resources free; shared by all of humanity? Have you ever noticed that when the economy goes into a recession, that it grinds to a halt, even though nothing else has changed. The store shelve are full, companies are busy making stuff, however, people stop buying stuff. With declining demand for more stuff, companies start laying off workers, which reduces tax revenue and further reduces demand, and so on, and so on; you have a viscous circle of an economy in decline. What changed? There are just as many goods on the market as there were before. The wealth of the nation did not suddenly change overnight, yet suddenly no one has any money to spend and companies are having a hard time. The truth is that it is not real; it is all just smoke and mirrors. There is no shortage of products and resources, and there is no shortage of need. There is only a shortage of money; and as we have discussed before, money is not real; it is artificial. Have you ever thought it odd, that we have a record number of vacant houses on the market, and we have a record number of homeless families at the same time? Is it odd that stores are having a hard time finding customers to buy their food, while at the same time we have a record number of poor families and hungry children? Is that any way for a modern society to function? Does it have to be that way? The answer is a resounding NO! The truth is there are plenty of resources available; it is just that they have been artificially made scarce by trying to control them with money. What about the environment and running out of resources? There is the question of how sustainable a resource is, which determines the rate at which it can be consumed without running out of that resource at some point. Non-renewable resources like oil must be conserved; otherwise, we may deprive future generations of a precious substance. There are alternatives to using oil taken from the ground, but the need for profit and human greed prevent full development of those technologies. If profit were not a factor, the development of alternative energy sources could go into overdrive, probably replacing the need for any oil within a decade. In addition, do not worry about the oil producing countries going broke; as members of a global Resource Based Economy they will start to enjoy a lifestyle that even all that oil could not buy. If you analyze what is needed to obtain something, be it ore from the ground, or a carved column from a block of marble, or the heavy equipment used to dig a canal, you realize that it all boils down to units of work expended to produce a result. In other words, we only need to consider the energy consumed to perform that work. If we had an unlimited supply of energy, and no need to make a profit against competitors, we could have access to an unlimited supply of resources, to the extent that the resource physically exists somewhere. There happens to be a huge supply of resources. Earth’s crust and Oceans contain many trillions of times the mineral resources that humankind has used since climbing out of the trees. In addition, before we consume all the Earth’s resources, there is an equal or greater quantity just waiting for us in the millions of asteroids, and the moons in our solar system. There is no need to strip mine the Earth. How do we get an unlimited supply of energy? The world is energy poor right now. We are energy poor because we have an artificially scarce supply by design. Developers of energy sources, solar, wind, wave, geothermal, or nuclear must compete to make a profit against the lowest cost source, which is usually oil or coal. In a monetary based economy, if the cost to obtain energy is more than the lowest cost source, it is unlikely it will receive funding for development. Witness what happened to the US solar cell producer Solyndra in 2011. They simply could not compete with the government subsidized Chinese companies. In a resource-based economy, the lowest cost energy source does not matter. As long as an energy source produces more energy than is required to create the source after environmental factors are included, it will have a net positive effect on the global energy supply. There is a huge untapped potential for energy with solar, wind, geothermal, and wave power. We have enough renewable energy to power our civilization for many thousands of years. We do not have a shortage of energy; we have a shortsighted monetary system that is inhibiting its development. How do things get distributed to people? How do we keep it fair? Ok, so there is all this energy; and with that comes abundant resources. How then, do we ensure a fair and equitable distribution to the people, and prevent the abuses that we see today where people try to monopolize a resource to gain power. Who is in charge? Who decides who gets what, and how much? How do we prevent corruption? The answer may shock you at first, so let it sink in before you get excited. No person will be in charge, computers will control everything. There will not be a central government calling all the shots; no leader is in charge. We will do away with all political offices. During the early stages before full computer automation is available, we may have professionals and scientists who are experts in a certain area to help manage and coordinate things. Managers may only work for a few hours a day. In addition, most of that work is done from home. During the transition, resource managers will not be able to obtain personal gain from doing their job because they cannot accumulate assets as they would in a monetary society. They cannot own exclusive access to a resource any more than anyone could. Thus, we eliminate the motive that creates corruption. If a manager is incompetent, it is an easy matter to find a replacement. Need, will determine the distribution of resources. Development of the automation to replace managers and other human labor positions will be a high priority. Forget what you see in the movies, like Terminator. Computers are not hell bent on the destruction of humanity. Those are total fantasies designed to sell movie tickets. A computer that does not have emotions and no desire other than to serve humanity will control the resources. Technology will be every person’s friend, and create a world of almost limitless possibilities. Computers will measure and track all of the resources on the planet and will schedule the transport and manufacture of all goods, including food, clothes, buildings and other infrastructure. Since there will be more than enough resources to go around, there is no need to ration or restrict access, except in the case of non-renewables. In cases where a resource is not renewable, the system will find ways that do not consume that resource, or by replacing it with a renewable source. For example, cars and trucks that use gas or diesel become obsolete, in favor of all electric or hybrid designs that can use renewable fuels for extended range. All uses of oil today could be replaced with renewable sources, and healthier alternatives; all that is lacking is the effort to do it. What about work, what will people do? Making a change as significant as that proposed by The Venus Project, cannot happen overnight without either some sort of major collapse of society or a revolt of the people. We all hope to avoid either of those two scenarios, as there would be great suffering. If we can effect a peaceful transition over time to a resource-based economy, then there will be a period where people will still need to contribute labor until their positions are automated. How all of this might be coordinated is pure speculation, as it could work any number of ways. One way to do it might be to ask people with the required skills to volunteer their time. As long as their needs are met, most people will want a sense of fulfillment by achieving something. What could be more fulfilling than helping transform humanity into a civilization able to endure millennia, while preserving the Earth as a livable habitat? As automation replaces the need for a person’s labor, their workday could shorten until there is no need for any labor. Automation of jobs will happen rapidly because there will be no budget constraints limiting development, and there will be no ill effect on society by eliminating positions. Technology will be our friend, and the elimination of jobs though automation a benefit to society. Everyone benefits from technology, not just the corporate shareholder as we see today. Once a person is no longer required to provide labor, they are free to devote their time in whatever area interests them. It is highly unlikely we will have a world of couch potatoes, who just eat and get fat. Oh, I am sure there will be a few, especially the first generation that grew up in a world of scarce resources. People will have to adjust to having plenty. It is odd though, that the majority of people who are lucky enough to retire early do not spend their days on the couch watching TV; they find other ways to enrich their lives. Go back to school, get involved in research or their church, learn to play music, experience nature or travel the world; the choice is yours. It is your life to live, as you desire. What about transportation, will we still have cars, busses, trains and planes? The simple answer to the question above is probably yes, in the beginning. However, there will be a big push to convert all transportation to more efficient, cleaner modes. For example, electric vehicles will replace gas-guzzling automobiles. One scenario might be that the cities of the future will provide electric vehicles with a built in autopilot systems. This technology exists today. You may have a key fob like the one that opens your locked car door today, only this fob when pressed will call a car and tell it to wait outside your house for you. One of the many autonomous vehicles in the city is then dispatched to your home. You would enter the vehicle and tell it where you want to go. The autonomous vehicle then takes you wherever you need to go. When you return home, the vehicle returns to a municipal parking space to await its next command. It is an automated on-demand taxi service without the taxi driver, or a running meter. There would not need to be as many vehicles produced as we have cars today. Only enough vehicles are needed to supply the people needing to go from one place to another. When not transporting people, autonomous vehicles may be used to move goods from place to place. When you use an item in the kitchen, you scan its bar code. That item could automatically be scheduled for delivery to your home the next day by an autonomous vehicle; much like the mail is delivered today. Your kitchen shelves will never be empty. Other mass transit options will be available for longer distance travel. Electric trains are the most efficient and have the least impact of the environment. They may even be moved underground so as not to disrupt the lands between cities that are returning to their natural state. High-speed rail will be developed for all continental travel and transport. Eventually, ultra-high-speed maglev trains that travel in a vacuum tube and reach speeds of over 1,000 miles per hour may replace intercontinental air travel. What about food? I like to eat. Food, like all other resources will not cost anything. Several things will help ensure a plentiful food supply to every person on Earth. No one will go hungry in this system. Many foods will be grown in hydroponic or aeroponic greenhouses year round in any climate. Doing so will increase yield per acre by 100- 500% and consume 70-80% less water. It will also require far fewer pesticides since no soil is used, and drastically reduce the amount of fertilizer required. This also means that more food can be grown locally, reducing wasted energy, time delays and spoilage associated with transport. Other foods that cannot easily be grown in a greenhouse will be controlled and coordinated by the resource management system. Meats will still be available, however, expect a shift to synthetic meat that is grown without the need to kill an animal. It is actually just like the real thing; grown from real animal cells. The only difference is that no animal need suffer and die to provide it and the nutrition, taste and fat content can be more closely controlled. Our culture has grown to desire fast food because we lack the free time to cook for ourselves. It will take time to adjust, but with more free time, the fast foods of today will give way to higher quality foods that are more nutritious. In addition, once the food lobbyists are out of Washington and advertising is outdated, then perhaps we can actually bring healthy foods into our schools for our children as well. Along with more attention spent on how to live a healthy lifestyle, the greatest gift we give our children may be the gift of more life. What about creativity, and individuality? Will we force everybody be the same? No. In fact, people will be able to express much more individuality than they can today. It is true, there will not be 27 versions of the same product made by competing companies. However, by bringing manufacturing closer to the source of consumption, like what we expect with 3D printing technology in the next few years, people will be able to customize their order a thousand different ways. For clothing, you may select from thousands of different styles and colors, not just the ones mass-produced in a sweatshop by human slaves six months ago. In our schools, instead of indoctrinating our youth for a job as a wage slave, we can teach them analytical freethinking skills. Rote memorization will be replaced with doing, discovery and experimentation. Every child will have a chance, and be encouraged to become an Einstein, or an Edison. The human potential within all of us will be released. What about healthcare and medicine? As with everything else, healthcare is free of charge. Health care professionals will do the work out of a desire to do something important with their life, to make a difference. It will not be about getting rich. Without money or budget constraints, we will have the best healthcare technologically possible. Decisions will be based on what creates the best outcome for the patient and not on making the best profit for a healthcare corporation. Currently, our drug industry is severely broken. We know about a great many drugs, but we do not produce them because there is not enough profit in it. We produce other drugs, but keep them scarce so that outrageous prices can be charged that will generate huge profits. Still other drugs are not discovered or brought to market because the cost of research and approval is staggering. Research done to develop a drug then becomes a closely held secret, and therefore kept out of reach from many people who may need it. Now, imagine a world where there is no budget constraining research; a world where the amount of effort put into research is based only on the potential for improving the human condition, not a juicy profit loss statement. Imagine a world where drug discoveries were instantly shared with the entire scientific community, and once proven safe are not withheld from anyone. Imagine a world where medical science begins to focus on how to keep us healthy instead of just trying to fix us when we break. Imagine a new world of limitless possibilities. There is so much more to The Venus Project than can possibly be covered in this short article. The scope of the ideas we have talked about here are vast, and many of the concepts mentioned will need to be further developed, tested and evaluated before being placed into practice. For every detail, there are 100 questions yet to be answered. Many questions cannot be answered until events start to unfold; such as exactly how the transition to a resource-based economy will take place. Until then, all we can do is prepare, and educate people about the possibilities. We have lot of hard work ahead of us. The rewards will be well worth the effort; yielding a healthy, vibrant society and living a lifestyle that the ultra-wealthy today would envy. Abundant resources will be shared by all humankind fairly. In addition, we will have an end to war, poverty, human suffering and most crime. Living on planet Earth will truly be a pleasant experience. I encourage you to visit The Venus Project web site and continue finding out as much as you can. If you are moved as I have been, the project is actively looking for volunteers on a number of projects, and I encourage you to apply to volunteer your time and help make the ideas discussed here a reality. In addition, a fantastic resource and excellent reading is a book by Jacque titled “The Best That Money Can’t Buy,” available for sale at the Venus Project web site. All proceeds go to support the project. Human labor is the effort that a person puts into some process or product that enhances value. The employment of human labor is a principle contributor to the very fabric of human culture and society for as long as known human history. For much of our history labor was not much more than walking around and picking up food off the ground, or hunting animals for meat. Life was simple, and so too, were our social structures and culture. People were nomadic, meaning they did not maintain permanent homes. They were always on the move, and their culture reflected values that enhanced their survival in that environment. Little value was placed on material possessions that could not be carried for extended distances. The concept of ownership, especially of the land, was as foreign to them as being able to fly. A technological innovation known as agriculture came along about 10,000 years ago, and changed all of that. The nature of labor shifted from walking around picking things up off the ground, to actually having to work the soil to get editable plants to grow. For the first time, we see the modern concept of labor applied. After all, while agriculture had its benefits, it was a lot more hard work than just walking around. People developed the notion that if they put in the effort to get plants to grow then they should reap the benefits of that work. The concept of ‘my work, therefore my reward’, was introduced to the culture. In addition, agriculture permitted people to establish permanence by staying in one place. For the first time in history, they could accumulate stuff. With the accumulation of stuff, people began developing the notion of mine vs. yours, of ownership instead of community property. Later, the invention of money brought change that permitted people to convert their effort into a transferable medium to facilitated the exchange of goods. With trade made easier, people could specialize in certain types of labor in exchange for money. They no longer had to be a jack-of-all-trades and produce everything they needed. They were able to master a specific skill, convert that skill into money that they then used to obtain the things they needed. For almost 1,000 years until the 18th century, a socio-economic structure called Feudalism dominated Europe. This system consisted of legal and military obligations between nobility; the kings, lords and vassals. This was a hierarchical system with a King at the head, Dukes, Barons and Knights as vassals; each of them were considered the lord over their own fiefdom (lands). At the very bottom of the social structure were the peasants, and just barely below them were the slaves. A peasant was an indentured servant who worked a lord’s lands in return for just enough food (hopefully) to avoid starvation. Peasants were not the lord’s personal property, as a slave was. Their indentured service tied them to the land. A Lord could grant the land to a new vassal, and the peasants on that land went with it. Once a family indentured themselves to a lord, their indentured service passed from generation to generation; so that it became a multi-generational form of quasi-slavery. The rise of international trade fueled by an increasing desire for exotic goods, and enabled by a new class of merchants that traveled the world, evolved into what we now call Mercantilism. The theory of Mercantilism was one of protected trade through high tariffs and laws that restricted trade to protect local production. This practice was the source of many conflicts across Europe. With the onset of industrialism, and the ability for a factory to produce large quantities of goods, Mercantilism started to fall apart as a sound economic theory. An alternative was needed that could explain increasingly complex financial interactions. In the 18th century, David Hume and then later Adam Smith challenged the conventional economic theory of Mercantilism with a radical new idea. Lift trade barriers, and let free trade and competition determine the price of goods. They created the theory of ‘means of production’, profit, wage labor and the accumulation of Capital. Of course, this radical new theory would be called Capitalism. It was all based on the notion of the owner of capital being able to add labor to that capital to convert it into something of higher value. The sale of that capital would take place on an open market, where free competition would create the optimal price for both seller and buyer. From the perspective of the Capitalist, two factors affect their ability to compete in the market; the cost of capital, and the cost of labor. The cost of capital was considered fixed, since in a free market all competitors could purchase capital at the same price. Therefore, labor was the only factor they had to work with where they could exorcise any control. Coincidently improvements in farming technology meant that fewer farmers were needed to tend the land, creating a huge surplus of ready labor to use in new factories being built. Since most laborers were former peasant farmers (barely better than slaves in social status), they were easily exploited and abused by the first industrialists. In fact, this exploitation and abuse, so reviled a young German philosopher that he took up their cause and attempted to envision a better way to run the world, were workers could not be exploited by the elite class. His solution was drafted in 1848, called The Communist Manifesto. He was Carl Marx. The advent of steam made possible large-scale mining that made iron cheap. Peasant farmers, displaced by improved iron plows found themselves migrating to the city to run the new machines of industry. Thus began the Industrial Revolution. Many will argue that the Industrial Revolution based primarily on steam power, extended mid-way through the 19th century, followed by another Industrial Revolution with the invention of better fuels, and steel. I prefer to think of the Industrial Revolution as one continual period of redefining the meaning of labor that is still taking place today. The Industrial Revolution is about the discovery that machines can be used to harness energy to do work that used to be the sole domain of biologic muscle. Initially these machines needed human operators to run them, and so there was a temporary transition from farmer to machine operator, however it did not take long to discover ways to automate the machines so that less and less work was required from a human operator. In the early 19th century, many people in England became very successful as highly skilled textile workers, weaving the fabrics that the world needed to make clothing. It was a trade that took a lifetime to master, and could provide a nice lifestyle to those who did. Then along came progress, new technology in the form of a wide frame loom than could be operated by unskilled labor. This was very profitable and a huge boon for the textile mills. As you can probably imagine, those weavers who spent a lifetime learning their trade and who had families to support were suddenly being replaced by technology, were not very happy. They revolted by attacking textile mills and smashing the new looms. They would come to be called the Luddites, after General Ned Ludd. People do not like change, especially when it upsets their established way of life. The term Luddite, or Neo-Luddite is still used today to refer to anyone that objects to the progress of technology. Since the industrial revolution began several hundred years ago, the transition period where people were required to help run the machines eventually resulted in the workers ability to use that requirement as bargaining leverage to demand that they participate in the profits realized from improving productivity. The owners of capital had no choice, since the machines could not yet run themselves. For the first time in world history, the average citizen was elevated to a lifestyle that would have been the envy of kings in the previous century. The capitalists were determined though to improve profits any way they could. If they could not control the workers wage, then they would have to discover ways to eliminate the worker, thus reducing the labor component of production. Discovering ways to automate the machine to do work with less input of human labor became a primary goal of the capitalist. Over time, most people came to accept automation as the price of progress. It seemed that every time machine productivity increased, and workers were displaced, that there was enough demand in new markets to employ the displaced workers. At least that is how it seemed while the United States enjoyed being the worlds primary manufacturer of goods after World War II. With the rise of the industrial revolution came the rise of the laborer. The laborer is the person who ran the machines, who through sweat and hard work made things, and greased the wheels of industry. Human labor was indispensable and a valuable commodity. In fact human labor was inextricably linked to production. Every economic theory whether it is classical, neo-classical, Keynesian, or Marxism all rely heavily on linking labor directly to production. Early in the history of Capitalism, the laborer was little more than an indentured servant. It was never envisioned that they would someday actually be able to buy the goods they produced. Their role was clearly defined as simply a means to an end, a necessary ingredient in the production of goods. Following the Great Depression, an interesting phenomenon was discovered. The average laborer could actually contribute to the economy as a consumer of goods, thereby creating demand for more production. More production required more labor, which became more consumption and a golden age of increasing consumption and growth was born. For most of the mid-section of the 20th century the demand for labor remained high, therefore, the laborer was able to demand that companies share most of the productivity gains realized from automation. For the past 30 years, the United States has seen a huge shift in the labor market. The manufacturing sector has continued its push to find new ways to automate the machines. This was fine following WWII, as the United States was the words manufacturer, and had enough growth to offset gains in automation. This began to change however as other nations recovered from the war and rebuilt new factories that were capable of competing with the best factories in the United States. In the U.S. this translated into slower growth beginning in the 60’s. However, automation continued to take its toll on the workforce. This effectively meant that there was a growing surplus of labor. As any economics student knows, whenever there is a surplus of something in the market, prices drop. However, many wages could not fluctuate with the real market demand because of Union contracts that were established while the laborer was in high demand. What resulted was a war on labor unions to disband wage contracts. In addition, where possible, companies slowed down wage growth. They continued to innovate and automate, but wages no longer shared in the growing productivity. The capitalists for the most part were not conspiring to destroy the middle-class, those productivity gains were needed to continue competing with foreign producers who often had very low labor cost. As many laborers found their jobs disappearing, they increasingly had to face the prospect of changing careers and making less money. American families learned to cope with a declining wage. They found extra members of the family able to go to work and add to the family income. The long-term effect of this copping mechanism however did not solve the problem, in fact in many ways the problem started getting worse. There were now more workers in the marketplace, putting further downward pressure on wages. Many families developed a new copping mechanism. If they could not make enough money to live the lifestyle that they had expected to have, they could borrow money to buy that lifestyle. More and more families started to rely on debt as a way to keep up with the Jones. What became of the laborer? Increasingly the laborer became rare, just as the farmer became rare in the previous century. The transition in labor never came to completion during the first Industrial Revolution that ended around 1850; it never found a state of equilibrium and stabilized. That is why I think we are still in the midst of the revolution. If I am a fisherman, and I catch a fish, I can sell you that fish for a sum of money. Then you have a fish and I have some money. We both still have the same value. I can now go catch another fish and repeat that process. However, technology is not based on labor, as catching a fish is. Technology represents information. If I know something, I can sell you that knowledge for some money. Now you have knowledge, and I have money, but I still have the knowledge also. While fishing is a zero sum game, technology is a plus sum game. More value exists after every transaction. This results not in the linier growth we would see from an industrious fisherman, but in an exponential growth curve. Previous gains are added back on top of future gains like compound interest. They build on each other. If you look at a small section of an exponential curve it does resemble a linear curve, which is why so many people are caught unaware of the change when that curve starts to accelerate. One of my favorite stories is the Human Genome project. After the first seven years, they had only completed decoding one percent of the human genome. Many scientists grew frustrated at the prospect and cost of taking another 700 years to complete the project. 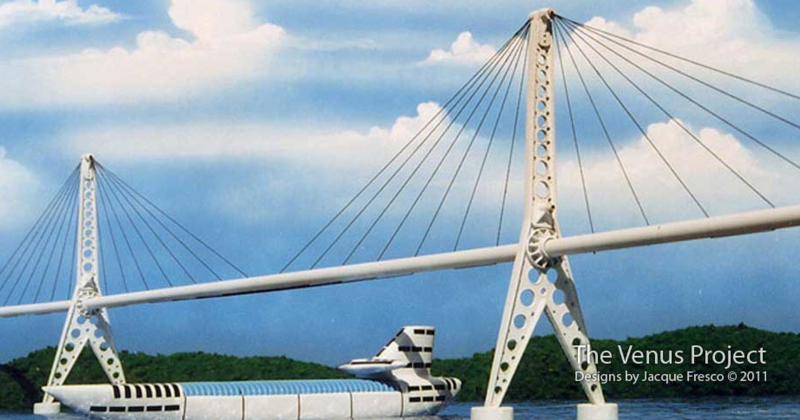 Ray Kurzweil told them they were on track to complete the project in another seven years. Of course, no one believed him. How could they finish in the next 7 years when the first seven years only saw one percent of the project finished. He explained that the technology was doubling every year. They were only seven doublings away from turning one percent into one hundred percent. As it turned out Ray was not only correct, but the project finished a little ahead of that seven-year prediction. The same kind of exponential growth is behind the computer chip with the now famous Moors’ Law. Technologic innovation and machine automation is now happening at a pace that is becoming hard to ignore. At first, the job market was able to keep up by creating high tech jobs and expanding the service industry to replace lost manufacturing jobs. Recently, the pace with which jobs are being replaced by machines has accelerated as the pressures of global competition and recession have required improvements in production efficiency to keep cost down. Many companies have a hard time knowingly replacing worker with automation outright, especially smaller companies where the owner may be closer to the workers and actually feel bad about laying people off. However, an economic downturn creates opportunity for those companies. They are relieved from guilt because the blame for layoffs is the fault of the recession. As the economy picks back up, and demand returns, they have a choice; rehire employees, or upgrade their machines and processes to automate the job. At this stage, it is much easier to invest in automation, especially since interest rates are at an all-time low. As far as losing the purchasing power of the American consumer, foreign emerging markets have stepped up to create the demand. The American consumer is not required to provide a demand as they once were; International markets have diversified consumption. There is a problem though that few people are willing to address. The problem is that many of the dynamics of the American laborer are on the fast track in developing countries. Eventually these countries will start having the same problem the U.S. started experiencing. More developed countries in Europe and Japan already are experiencing problems. The only way to sustain perpetual growth is through increasing debt. The creation of debt however has an end game. There comes a time when the accumulation of debt cannot be sustained, as we saw in 2008 when the debt laden real estate market crashed. America absorbed the bail out of banks by printing more money. However, this was not an option in Europe with everyone tied to the Euro. Each country had to borrow a lot of money to bail out their banks to prevent them from failing. Now, that huge government debt has grown to the point that those countries are struggling with being able to make the payments. The very same banks that the governments bailed out for making bad investments are now refusing to lend those governments more money. This debt trend will spread to developing countries as the global market for labor starts to feel the pinch created by technology. The Industrial Revolution…where will the wheel stop. The next several decades should see the Industrial Revolution finally come to an end. In that period we will see the introduction of new technologies that are so revolutionary, that they will alter the very fabric of our society in ways that are hard to grasp. Even if I am off on the periods listed below, these statements will all be true in the very near future. Three technologies will cause the majority of job losses; 3D printers, Robotics and Artificial General Intelligence. The invention of 3D printers will redefine the manufacturing and Construction industry. Initially we will see resurgence in local manufacturing with small fabrication shops. These will not be traditional manufacturing jobs however. There will be some growth in technology jobs and 3D design jobs, especially artists. We will see the biggest decline in foreign manufacturing markets, and continued local decline in traditional manufacturing jobs. Expect to see almost all remaining manufacturing jobs disappear with 10 to 15 years. Most 3D printers today work with only one material, plastic, metal, glass or ceramic, even wood. However, that limitation will be overcome in the very near future, as newer printers will be able to incorporate multiple materials into a single product. When that is achieved, we will have the equivalent of the ‘Star Trek’ replicator, able to produce anything on demand. The impact on manufacturing will be huge. With the complete elimination of labor, manufacturing will once again transition to a local possibly even personal endeavor. We still need people to assemble larger and more complex manufactured items for a short time; such as appliances and aircraft. However, it will not take long with the new robotics systems under development, to replace all manufacturing labor. OK, we have been bleeding manufacturing jobs for years now, but at least we still have a strong service sector…right? Wrong! The development of more intelligent Interactive Voice Response (IVR), Intelligent Agent systems in the next few years will make a big dent in administrative, secretarial, and customer service jobs. Apples’ Siri is a sign of things to come. Expect a 50% reduction of these jobs the next ten years; by twenty years, we could see almost all service jobs disappear. Service jobs are being hit just as manufacturing was around 30 to 40 years ago, but they will catch up rapidly. Do you use an ATM, on line banking or a drive-up automated teller instead of a live bank teller? Have you ever been to a grocery store with automated checkout lines instead of a live checkout person? Have ever called a company and had a computer answer the phone. If you answered yes, then you have witnessed the beginning-of-the-end of our service industry. In the last few years, voice response systems have improved to the point that they can understand anyone’s voice, even with different accents and languages. Instead of the rather dumb list of “Press 1 for…” options, they are starting to ask verbal questions that require answers that are more complex. In just a few more years, these systems will all have what are called intelligent agents. These are not truly smart Artificial Intelligence (AI) yet, but they know how to have a conversation, they will be experts in a specific area and be able ask and answer questions, and even look up information from a database. Instead of giving a menu list of options, the new system will simply say; “Hello, XYZ Company, How may I help you.” I would not count on Customer Service as a long-term profession. In the near future, when someone calls your office, your phone will answer itself; it will ask who is calling and what the call is regarding. If it is from someone that you have told the phone you want to speak to, it will contact you wherever you happen to be and ask you if you would like to accept the call. When your phone is not busy answering incoming calls, it may be making outgoing sales calls for you, sending email reminders to people about their appointment, ordering flowers for you wife’s birthday, or searching the web for news on a topic of interest to you. If your occupation is a receptionist, call center operator, or administrative office assistant I would be worried. We talked about the 3D printer being used to manufacture products; however, it is also being developed for construction. That is right. 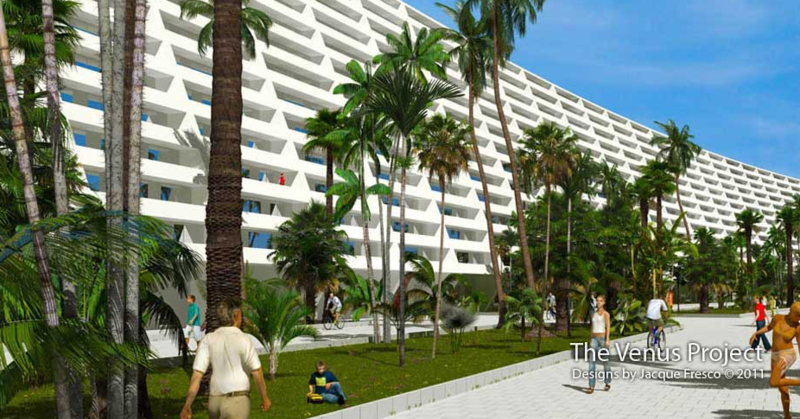 The first commercial unit able to construct an entire small building is expected to be ready by 2013. Taking exponential growth into consideration you can probably expect to see these systems used on large industrial and commercial projects such as skyscrapers by the end of this decade. Robots built today have the manual dexterity to do general repair work. In fact, there is one called Robonaut, already on the job at the International Space Station. Robonaut can do repairs in the vacuum of space without putting an astronaut at risk. Other robots are performing delicate surgery that is physically impossible for a surgeon alone to do. Of course, a skilled person operates these systems by remote control. The only element keeping these systems from being fully autonomous is a highly skilled brain telling it what to do. Those brains are coming. Before 2020 gets here, a super computer will exist that contains computational power equal to the human brain. Within seven to eight years after that, a typical desktop computer will be just as powerful. The software of Artificial General Intelligence will not be far behind. These types of devices will come down in cost as there use is accelerated until they are filling every type of repair position; automotive, HVAC, general office and home maintenance, and everything in between. Surely doctors, lawyers and the computer specialists who will create the robots and artificial Intelligence will be safe…right? For a little while yes, but in the end no, even these jobs are on the block. This will take a little longer because these highly trained professionals rely much more on what we call general intelligence. They quite often have to pull in knowledge and understanding from multiple areas and disciplines that are each very complex. A true Artificial General Intelligence (AGI) that can reason at the level of a person probably will not emerge for another twenty to twenty-five years. An AI however, does not have to be conscious and intelligent at the human level before it starts making an impact on labor. Semi-intelligent systems are being developed today that will be able to diagnose a patients illness, in many cases more accurately than a human doctor could. Even before reaching full human intelligence, AI systems will be used to make human professionals more productive by taking over some of their workload. That increased productivity equates to a need for fewer professionals. Wow, so does that mean that we are all out of a job in 30 years? How can that be, there must be work so that we can earn a living, to pay our bills and debts and buy stuff. How will our society function? What good will all that technology be if we are all out of work? We will all be living in the land of plenty, but no one will be able get any of it…or will they? Current Capitalist economic theory accounts for a balance being achieved between supply and demand. It would appear that with all this technology we might have an abundance of supply. In fact a number of well know scientists and experts are calling for just that. In Feruary of 2012 Peter Diamandis and Steven Kotler published ‘Abundance: The future is better than you think’. Another book by famed scientist and professor at the Oxford Martin School, Eric Drexler has announced a book due out later in 2012 which will be called ‘Radical Abundance’. Both books speak about the ability for technology in the very near future, being able to increase productivity so much that we will be able to create an abundance of anything we could ever want; the age of scarcity is almost over they claim. I cannot speak about Dr. Drexler book yet because it has not been published. The first book though, by Diamandis and Kotler, expects new technology to usher in a golden age of innovation and economic growth. Unfortunately, they are not schooled in historical socio-economics and have a naïve attitude about how all this will play out. The potential for abundance of resources will be there, of that I am certain. What I do not have faith in, is our current socio-economic institutions; banks, corporations, the Federal Reserve and the government to enable that abundance to be shared with all of humanity. If current trends are any indication, wealth will continue to pool at the top crating new age of Feudalism. The bulk of humanity indentured to a few elite families. Dropping employment will lead to declining demand. Declining demand can be made up in developing countries for a little while, but they too will go bust eventually, especially after they start to loose manufacturing to 3D printer technology. Expect increased civil unrest around the world as unemployment continues to climb, even in the U.S. At some time, we will reach a tipping point. I cannot say when that will happen, but the population after tasting freedom is not going to go easily back in the cage. Either the government will have to get extremely repressive and brutal (most likely scenario), or they will have to concede that the system is failing and be open to change (do not hold your breath). Either way, it will probably end up in a violent transformation. But what should we do then on the other side of that transformation. If we must endure a lot of pain to gain something, we want to make sure that it is worth it. When whole institutions go through radical change we refer to that change as a reformation; meaning the old institution is reformed into something new. Reformations can be bloody or peaceful; they can occur because of a revolution, or out of a gradually changing culture and needs of a society. A famous reformation occurred when a group of people broke from the Catholic Church and formed their own religion. It became known as the Protestant Reformation. Declining wages though, means decreasing revenue from taxes and more dependence on public assistance. Public debt will then keep growing out of control, quickly becoming unsustainable. As witnessed in Europe, austerity (cutting back on government spending for social programs) has a disastrous negative effect. Nevertheless, people get desperate at times like these, and cling to their old institutions out of fear. At that point, nothing short of a very large reset button can correct the course. It is as if we are all ridding on the Titanic. There is a very large ice burg dead ahead, and there is no time to change course. It is going to crash. We have a choice: we can grit our teeth, hold on and pray for salvation, or we get out the lifeboats and abandon this sinking ship of Capitalism. However, where would we go? What could possibly work better than Capitalism, especially since we will all be out of work and have no money or power? Certainly, not Soviet Communism or Fascism; they both have serious flaws and would be problematic. The sixty four million dollar question then is ‘If not Capitalism, what?’ I have pondered that question for years. In previous articles, I have proposed changes such as reforming the banks and health care institutions into non-profit or state run businesses, and a new democratized global government. However, those solutions are simply Band-Aids covering deep lacerations in a very sick patient. The problem is that even with those changes we will be unable to account for the mass and rapid transition to an economy that requires no input of labor, no wages, and no taxes. Something more must be done. What a conundrum we find ourselves in; the ability for society to produce unlimited goods with no input of labor results in the mass starvation of most of the world’s population, when the opposite should have been true. We should be reaping the rewards of increased productivity and an overabundance of the material goods that we equate with a high quality of life. 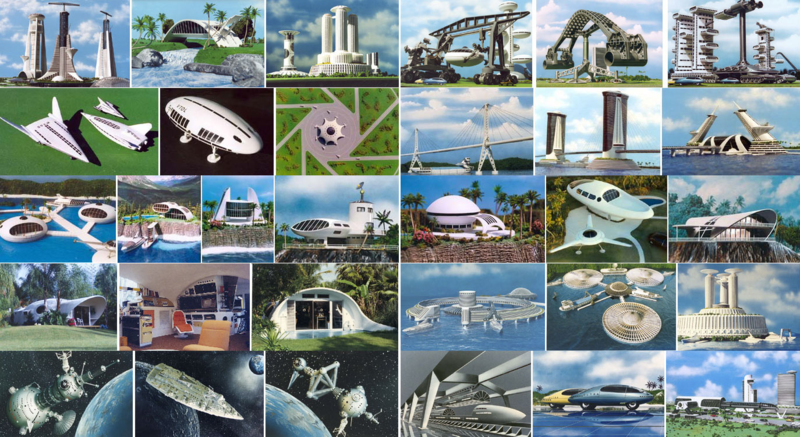 Recently I watched a video produced by a 95-year-old inventor/futurist/social engineer by the name of Jacque Fresco. Jacque has been thinking about this problem far longer than I have; long before anyone else even saw the problem on the horizon. He has come up with a solution that is very elegant, though radical. As part inventor, designer, architect and futurist Jacque Fresco has spent his life solving difficult problems by thinking outside the box. Most notably, he has been able to transcend culture and existing dogma to offer novel and often revolutionary ways to solve some very old problems. In 1975 he created the Venus Project with the lofty goal of completely redesigning our society in such a way as to maximize the use of technology to eliminate hunger, poverty, corruption, abuse of power, and war. Jacque’s vision is to create a classless society where technology serves all humankind. The plan would be to eliminate money, and replace it instead with an economy based on resources. All resources would be the shared property of every person on Earth. Computers and automation that have no desire for profit or power would replace our market economy and provide for a new abundance to everyone. Since there is no money, people do not get paid for any work they do, nor do they need to pay for the things they use or do. Everything is free. People will not be wage slaves to an economy that chews them up and spits them out. People will be free from drudgery, and able to pursue whatever they find rewarding. You might decide to become a scientist and do research, or express yourself with art, or music, or simply travel the world and learn about its wonderful people. Alternatively, you could spend your years in school satisfying your thirst for knowledge, or perhaps you enjoy spending your time in spiritual meditation, convening with God. It is your life, you choose; anything you want to do. Wait just a minute; I have heard this before; they try to do that with Communism. No, it is not even similar. Communism was a currency-based economy where people were exploited for their labor. Power was concentrated in the hands of a few elite, and therefore it maintained the class divisions that Marx sought to eradicate, and was custom built for the worst kind of totalitarian corruption. Marx would have turned over in his grave if he had witnessed how is ideas were perverted. If you remove money from the equation, and place no people in a position of power where they might be tempted to become corrupt, then no person can amass enough power to exert their will over the population. This new world will be free of money that corrupts, free of people who would enslave you, and perhaps best of all, free of Politian’s who would tell you how to live. Most crime will disappear; why would anyone steal, when they can obtain anything they want at no cost. If we further decriminalize those crimes that do not cause harm, that exist only as a means of forcing people to conform to a social norm, then there would be very few criminals, and no prisons. We will probably also find that when people are raised in an environment free from stress and all the factors that have created dysfunctional families, that children will grow up with fewer psychological disorders that may lead to unacceptable, antisocial behavior as an adult. After all, we are all products of our environment. There will be no need for war when everyone has what they need. No need for police when there is no crime, or prisons when there are no criminals. Instead of laws that try to enforce a certain behavior, the structure of society will bring that behavior out in a natural way. No one is born evil; for someone to become evil, they first have to live in a dysfunctional society. Marshall Brain, founder of How Stuff Works and the author of Mana, on Robotics and Employment. In the next article, I will go into much more detail about how a Resource Based Economy would actually function. There have actually been a several reformations throughout history. The term reformation means to reform or remake. When institutions that form the core of a society fail, or are torn down, new institutions rise up and replace them. The old institutions are reformed into new institutions. This is radically different from what we see on a daily basis as things change slowly over a longer period. Reformations are usually abrupt and significant. The Protestant Reformation saw a large number of people break from the Roman Catholic Church and is usually the first thing that comes to mind when discussing the Reformation. That Reformation resulted in the first protestant church following Martin Luther; we know them today as the Lutherans. It is fitting that the final part in this series is written on the eve of the financial collapse that I have been predicting and which may lead to the next Reformation. So, fasten your seat belt, open your mind to new possibilities and prepare to step outside your comfort zone. The Federal Reserve is currently using monetarist thinking by investing in long-term bonds to bring down interest rates hoping to increase borrowing and spending, and thus save the economy from a double dip recession. The problem however is not liquidity of funds for borrowing. The problem is that the people who would be consumers of goods are not buying because they still have too much debt. They have no equity in their homes and cannot take on any more debt. In fact, this move by the Fed will have the negative effect of reducing many people’s investment income from bonds, and therefore have a negative impact on goods consumption, especially from our seniors. The storm causing this second tsunami in the economy is focused in the European continent, with their banks nearing collapse. The world has not yet recovered from the last storm. Therefore, it is less prepared to weather this one. The world’s banks might topple like a row of dominoes. If all the world’s banks fail, were talking total economic collapse. No one will be safe. We may be in for some very tough times for a while until the world can heal its wounds. What comes of that healing process may take many forms, and only one thing is a sure bet…it will be different, it will be reformed. If the world must go through a reformation, then we should want the new institutions that rise from the ashes to correct the flaws that led to this failure. We should learn from our mistakes when planning a new future. However, that is often easier to say than do. Americans love to play the blame game. After the collapse, there will be no shortage of finger-pointing at the cause of the failure. All too often, this will result in simply pointing at the obvious, and failing to uncover the root cause. Fingers will be pointed at the liberals saying excessive regulation led to the failure, if only we had let them run free and get government out-of-the-way. Fingers will also be pointed at the conservatives saying there was too little government regulation, and that what we need is more rules, more government. Both sides of that argument will be wrong. Banks will not fail because there was too much or too little government regulation. The banks will fail because human nature took over. A flaw in the design permitted human greed to rule over logic and drive the industry to poison the very water from which it drinks. Banks are corporations and therefore must ultimately answer to its shareholders. However, banks serve a vital role in a capitalist system as the controller of all capital that flows through the system. This gives the banks an enormous amount of power. So much power in fact, that they have been calling most of the shots on all sides of the political spectrum. We live in an illusion of Democracy. In fact, in America, what has evolved over the years is a Neo-Fascist Plutocracy run by the banks and a few very large corporations. Elections and politicians are permitted to exist simply to appease the populace by thinking they still have some modicum of control over their life. The banks are not in this alone. The health care industry has been on a runaway spending spree for half a century and will crumble shortly after the banks go down. Famine, strife and anarchy will put a huge demand on health care, and there will be no way to pay for it. 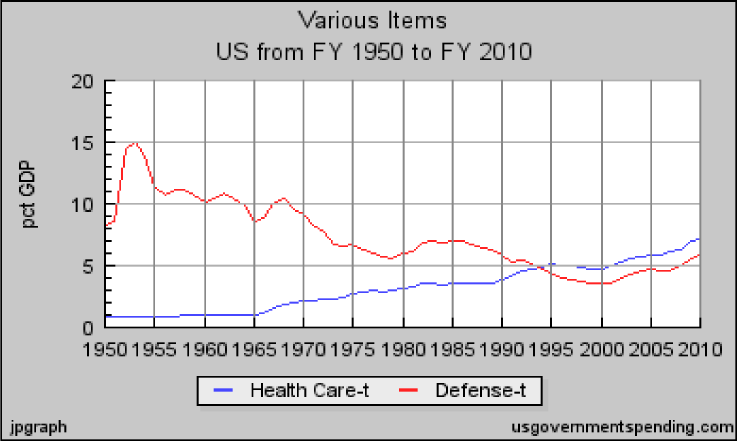 In 1960, the government spent about 1% of GDP on health care. By 2011 that had risen to 7%, a 700% increase in cost relative to the growth of the economy. Almost all health care providers are now corporations, which means they ultimately have to answer to their shareholders and provide a profit. The drive to be profitable is wrought with conflicts of interest with the people who go to them for medical help. They are motivated to turn a profit all costs. Their concern for a patients wellbeing culminates in a desire to avoid lawsuits, and stops there. This is exacerbated by the fact there is also a health insurance industry, born ironically because of the high cost of health care. The health insurance industry is the primary payer of provider services, giving them a lot of leverage. Health insurers answer to shareholders also, giving them an obvious conflicting interest with the people who buy insurance. They are motivated to turn a profit by minimizing the cost of delivering health care. On the surface this sounds like a good thing, however the dynamic of the two industries trying to outdo each other and jockey for more profit has resulted in gross waste and inefficiencies. If the banking industry remained as healthy as a horse, the healthcare industry would still implode eventually because its design is flawed resulting in an out of control cost system. However, these two industries are now large enough and powerful enough that true reform cannot take place. It is going to take something on the scale of a reformation to reshape these industries and design out these flaws. There is yet a third leg in our system that is fundamentally flawed. That third leg, not surprisingly is our form of government. The current form our democratic republic has taken in no way resembles what the original architects of our nation had in mind. Have you ever wondered in amazement that Politian’s rarely do what the public wants? The only way a politician can be elected is by out spending the competition. It has become a media circus where the best fundraiser wins the race. Raising funds however means making promises to those giving the money. Therefore, every politician ultimately answers to his or her contributors, not the American public. If that is not a dictionary definition for a conflict of interest, I do not know what is. After the collapse, we will survive to rise from the ashes and begin the reformation. There will be numerous recommendations for change in how we govern ourselves. Some may call for a return to Socialism or Communism, while others may call for an extreme form of Fascism, perhaps even Anarchy. We need not adopt any of those extremes. I will explain in a moment, how I think we simply need to make a few changes to our Capitalist institutions to save Capitalism, and then reform our corrupted neo-fascist republic into a truer more equitable global democracy. Defense spending alone will be just shy of a trillion dollars in 2011. Imagine what we could do if we did not need to spend that money. But, but, you say: we have to defend ourselves from those who want to do us harm. Most, if not all of those people hate Americans because of our imperialist expansion and corporate protectionism imposed on foreign countries. Repressive dictators that the U.S. propped up in order to secure access to Middle Eastern oil has resulted in a deep hatred for America. When ever you hear them say protecting U.S. interests, they really mean that our government and your tax dollars are going to war for a Corporation. Our enemies then use religion as a recruiting tool, but it was our Neo-Fascist/Corporatist intervention in so many countries that created the conditions permitting the rise of Islamic extremists in the first place. The solution is radical, yet simple. It could only come about as a recovery from a global melt down followed by Reformation. Without a global Reformation, the power elite would never permit all the changes I am recommending. We must form a global constitution, guaranteeing every person on Earth protection and equal rights under a common constitution, as well as access to a fair judicial system, and equal representation in a democratic government. Representation should be at the local, regional and global level. Most laws that affect our daily lives should be maintained at the local and then the regional level, with only a minimum of laws enforcing the constitution at the global level. The closer a law is to the person who it has jurisdiction over, the more the people will feel in control of their destiny. People should be able to maintain most of their local culture that brings so much diversity and beauty to the world. With the world united under a common constitution, there will be no need for large army’s to fight one another. No nations to wage war. All that energy could be instead used to build up the under developed parts of the world and repair the infrastructure in the developed world which will bring prosperity to all. Repurposing a vast military industrial complex to peaceful output will create hundreds of millions of jobs. There will be employment for anyone who wants it. Those who would be representatives for the people would not be permitted to raise funds to run a campaign as they do today. Each candidate will have equal and unbiased access funded through taxes to present to the people their credentials. Cost will be kept to the minimum needed for the people to choose the best candidate that represents their desires. The electoral process should be run more like a job interview with every citizen being a hiring manager and getting one vote. No candidate should be permitted an unfair advantage over another. This is the only way the people can make an objective decision for a person who will honestly represent THEIR interest, not the hidden agenda of some corporate sponsor. There should be one global currency. Only the global government should have the power to create currency and set interest rates to control economic growth and inflation. As we will discuss in a moment, this will drastically alter the role banks play in global finance. Trade should be free between all regions of the world. However, during a period of transition there may be great turmoil while people crawl out from the ashes to begin rebuilding. During this transitional period, the government may facilitate the flow of some goods, namely food and healthcare, to prevent further suffering and starvation. Once this transition period is over, the government should maintain a minimum of involvement in commerce, except to ensure the safety and health of the people of Earth, as well as the health of the Earth itself. Ideally, most regions should strive to become self-sufficient in order to minimize the need to import goods from other regions. There may still be regions that lack natural resources or the environmental conditions to become self-sufficient. In addition, other regions may produce an abundance that they cannot consume. If a region is permitted to maintain a negative trade imbalance for an extended period, the drain of capital out of that region will eventually lead to its people becoming impoverished. In such extreme cases, the world government may consider altering the borders of a region or even the merging of two regions so that the result is a self-sufficient region. Such a move may seem extreme, but is preferable to the alternative that would be an artificial wealth transfer akin to welfare to support the deficient region. The world’s financial institutions put profits before people, and that is going to be the catalyst for the financial disaster the world will soon go through. We must remove the temptation to do harm in the name of profits if we are to have a healthy financial system that supports a robust capitalist economy. At the same time, we need to ensure that banks do what is in the best interest of the people they serve. That cannot be done if a bank is located half way round the world from customers that they will never see in person. The best solution is that each regional government owns the bank in their region. Banks will have a reserve limit of 100%, meaning that they can only loan money that they have in deposit. They cannot create currency out of thin air as banks are permitted to do today. All interest earned from bank loans and fees collected go to the regional government replacing or at least minimizing the need for a regional tax. Loans can only be made to people and businesses in the banks region. Regions money stays in that region except for inter-regional trade. multiregional corporations should be discouraged or prohibited to prevent them from becoming too large and gaming the system. By having the Region own the bank, the need for growing profits to satisfy shareholders is eliminated. The need for the region to collect taxes will be minimal if not eliminated altogether. Most money stays local, so it will be difficult for one organization to drain money from the local economy by simply transferring it elsewhere. Regions will have their own banks to fund capital projects, which removes the need to raise taxes to pay off bonds. Some of you may be thinking that this sounds ripe for wasteful or corrupt government spending. That is unlikely to happen because there will be an incentive to minimize waste and cost. If a region wants to be competitive and attract people and business to relocate in their region, they will need to balance the cost of providing a top-notch infrastructure while minimizing interest rates and fees for service, which create a burden on commerce. If infrastructure or services deteriorate or costs get too high it will detract from people and businesses moving there. We have therefore eliminated the need for greed that drives bad decisions, yet maintained the need to be responsible and competitive so as not to be wasteful, while keeping wealth local and decisions that impact a community local. The global government may at their discretion issue new currency by depositing it in a regional bank. Doing so increases the money available for loans. The issuance on new currency should only be done to accommodate economic growth while keeping inflation at a minimum. The system cannot fail because there will always be enough currency in the bank to cover all loans. A healthy Capitalist system relies on the hard work and innovation of citizens to improve their lot in life. A problem that keeps appearing in Capitalist economies from the very beginning is that if too much power accumulates in one or even a few hands, the system starts to break down and it becomes dysfunctional. If new business cannot compete and people cannot get ahead, a feeling of hopelessness and despair sinks in to the population, which carries with it a whole host of bad side effects, not the least of which is crime. The system should not impede growth unless that growth starts to impact competitiveness. The United States saw this as a problem in the 19th and early 20th century and passed ant-trust laws to prevent companies from taking over an industry with a monopoly. Those laws have all been destroyed in the last 30 years with the result that ‘too big to fail’ as become a common phrase in American culture. No company should ever be too big to fail. Citizens should never have to bear the burden of bailing out a dysfunctional company. A fair and competitive market should always decide the winners. To accomplish this, some restriction may need to be devised to prevent a company or a person’s interest in multiple companies from exceeding some threshold whereby that person or company can manipulate an entire industry making it uncompetitive. As you can see from the chart above, healthcare as a percentage of GDP has grown by 700% in 50 years. That fact is the single biggest contributor to our nations deficit problem today, not social security or even defense spending. America spends three times as much as the next highest spender on healthcare. However, the quality of our healthcare is the worst among industrialized countries. We are in that race next to some East European and African countries. Health care providers should all be converted back to non-profit organizations as they were in the 1940’s and 50’s. Universal health insurance should be provided by each region as a single payer system available to all citizens. Every region will be required to recognize anyone from outside that region for health care. Regions can then forward the cost for that healthcare to the region of origin. That way, regions whose industries rely on tourism will not be unfairly burdened by out of region people getting sick while visiting. Regions acting without a profit goal, will nonetheless want to keep costs low while maintaining good health services in order to remain competitive. They can accomplish this by emphasizing wellness care and healthy living programs so that people stay healthy and avoid becoming a medical burden unnecessarily. By providing free education to all citizens to any level they desire, the exorbitant costs doctors and even nurses incur before they even begin their career will drastically reduce the need to pay them as much just so they can repay student loans. Many doctors face financial hardship in their early years just for choosing that profession, and it just is not right. A free higher education will also help ensure that we have people with the other skills required to compete in the modern world. Another issue that will drastically reduce medical costs is tort reform. A doctor who is competent should not live under the fear that the slightest mistake will result in an expensive lawsuit and possibly a loss of their medical license. They need to be accountable, sure, but our current system goes excessively far. Doctors should feel free to document when an honest mistake is made so that other doctors can learn from that mistake. How else are they to improve? Tort reform will reduce the cost of malpractice insurance that is major contributor to rising healthcare costs. So, did you get out of you comfort zone, just a little bit? Did fears of the illuminati, or the New World Order conspiracy creep into your thoughts as you read my recommendation for a global government. Trust me when I say, that if the conspiracy theory is true, they would never in a million years adopt this plan. The reason is that I deconstruct their power base. The corrupt politicians and mega wealthy bankers will have no pulpit from which they can bully citizens. We will have a true democracy, something even the United States does not have today. Both banking and healthcare should be the twin backbones of every society. However, they are actually doing great harm instead, all in the name of profits. Those industries should be reformed into instruments for good and promoters of a healthy Capitalist global society. Finally, we would have an end to all wars and needless killing. Vast regions of the world that are suffering today under the harshest of conditions could be lifted up and made healthy again. The relief of so much suffering in the world alone makes this a noble cause. If you agree with the ideas put forth here, then please help by passing the word. The more people who read this, the better our chances will be when it comes time for the reformation and the world is searching for answers. If you find flaw with these ideas please let me know. Perhaps things would have turned out different for the world if only Carl Marx had asked for a little critical feedback before publishing his Communist Manifesto.